Just over 10 minutes of madness in Kircaldy left the Giants fans hoping for a reaction from their team as the Giants lost their 2nd game in a row and have yet to score a point in league competition. The fans got an improved performance, yet they also got the same scoreline, Fife qualifying for the quarter final stage of the Challenge Cup and Adam Keefe left looking at his side with a bit of work to do. Fife continued where they left off on Saturday with an early goal in the SSE, Bulmer placing the puck by Stephen Murphy, starting his 4th game of the season in the absence of Tyler Beskorowany. 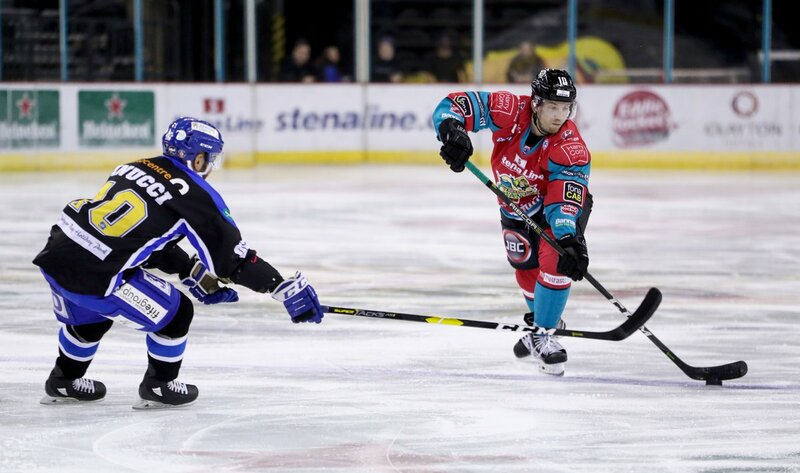 Carlo Finucci doubled the advantage and left the Giants fans exasperated as Belfast tried to get back in the game. And before the first period ended Kyle Baun gave them hope, a goal made it 2-1 after 20. The Second Period was dominated by Giants attack and Fife goalkeeper Shane Owen being on magnificient form, turning away chances from Bishop, Beauvillier and Shields before down the other end Bulmer restored the Flyers 2 goal lead with his second of the game. Giants hit back soon after, Kyle Baun hitting the net once more to make it 3-2 and the Giants attack seemed to be clicking at last. But the Flyers D and most notably Owen between the pipes were equal to that attack and the Giants couldnt find another way past him in the remainder of the game. 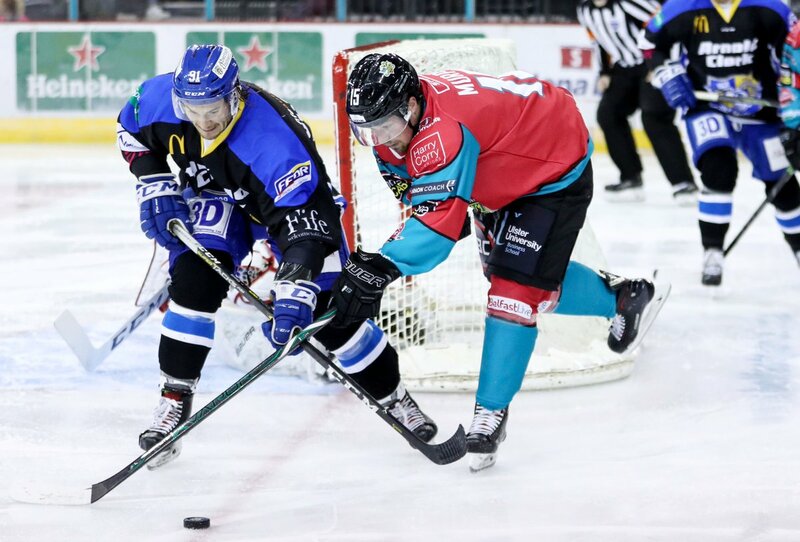 Murphy was pulled for the extra attacker with little over a minute to go, yet the last roll of the dice came up short and a failure by Curtis Leonard to deal with the puck behind the Giants goalline let Paul Crowder skate in and finish proceedings 4-2. Giants are in an unfortunate early slump, but while they look comforatble on the puck, they struggle to find coherance when off it. This was certainly a better perfoamance than last night, but a loss is a loss despite that and Keefe has a week to preparehis troops for the Dundee Stars. When they have a home and home series and 2 chances to put points on the board in league competition.